On November 26, 2008, Dev Patel was 18 and on the cusp of stardom with ‘Slumdog Millionaire’ when he switched on a television at home in London. 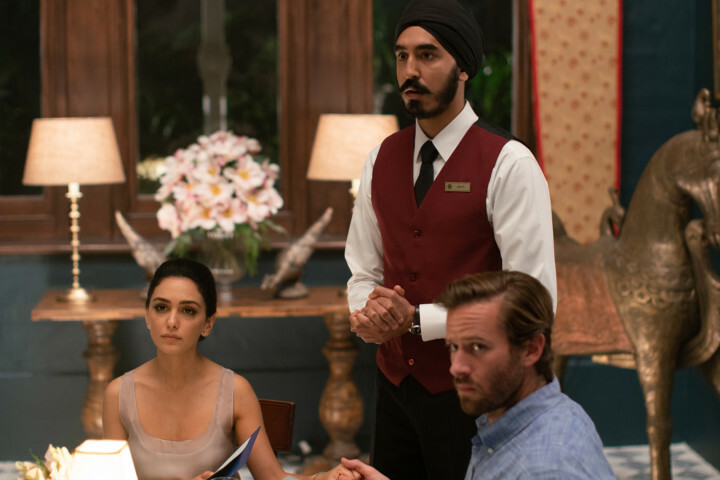 A decade later, Patel, 28, is both starring in and debuting as an executive producer in ‘Hotel Mumbai,’ Anthony Maras’ re-creation of the attack on the Taj Mahal Palace Hotel, where members of the militant group Lashkar-e-Taiba killed 31 guests and workers. 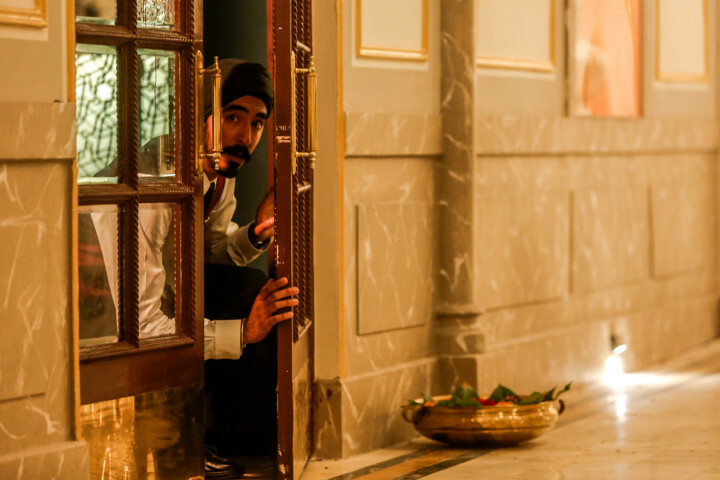 Patel plays Arjun, a Sikh waiter who endures the horror to usher hostages to safety. In real life, the hotel’s staff members — some armed with kitchen utensils or baking trays taped to their chests to shield themselves from gunfire — were extolled for their heroism. These days, Patel — who returned to India for ‘The Best Exotic Marigold Hotel’, ‘The Man Who Knew Infinity’ and ‘Lion’, for which he earned an Oscar nomination — is moving into the realm of top hats and knight’s armour in coming movies about David Copperfield and Sir Gawain. He has also teamed up with Tilda Cobham-Hervey, his ‘Hotel Mumbai’ co-star and girlfriend, on ‘Roborovski’, an animated short about a murderous mini-hamster. In a phone interview during a break from the Dublin shoot of ‘Green Knight’, David Lowery’s retelling of the Arthurian legend, Patel spoke about living a nightmare and the career moves that make him sweat. Q: ‘Hotel Mumbai’ is a very tough watch. Were you all in when Anthony first approached you? A: Yeah, I really wanted to be a part of telling this story once I understood that this wasn’t going to be a ‘Die Hard’ and he didn’t want to shy away from the brutality. It was going to be unflinching, but it wasn’t going to be this big action movie where you’ve got the Hollywood heroes that come in and save the day. It was going to be something that was told from the heart, and the characters were going to truly be propelled by a genuine fear for their lives. I thought, OK now, this is the way it should be told. Q: Your character, Arjun, is an amalgam of several hotel staff members. Why did you decide to make him Sikh? A: The script was so powerful it took my breath away. But the role that was being offered up to me — Anthony won’t mind me saying this — didn’t really have anything to say. He was utterly reactive, which I think a lot of people would have been in that situation. But I thought we could be more potent as filmmakers. I read this article after the September 11 attack about Sikh cabdrivers in New York being targeted and beaten up in racially motivated attacks. And what struck me was the cultural insensitivity, the naivete of who they were and what they believed in. I thought it could be so interesting to tackle some of these uncultured stereotypes. Q: You’re British but have returned to India repeatedly for movies. How do you make sure your portrayals are culturally correct? A: Once I decided to make this character a young Sikh man, I went to Mumbai for a month and went to visit some Sikh communities out there and really get the culture under my skin. My first film, ‘Slumdog,’ really exposed me to Mumbai, a city I’d never experienced before. It took my breath away. At the end of that film, we have this dance sequence that [director] Danny Boyle put in, which was kind of an ode to the city and culture and the escapism of Bollywood. And we closed down part of the [railway] station for three night shoots at a ridiculous hour in the morning. But still, I remember being struck by how many people were there — it was just teeming with humanity and life, and it was so exciting going there, even though I was a horrible dancer. Q: Just how stressful was shooting ‘Hotel Mumbai’? A: I’m a bit worried about harping on about how tough it was for me because I’m just this pampered actor. Of course it was a harrowing shoot. The weight of the situation, because it’s based on true events, made it that much more intense. And Anthony employed some great techniques. He had these speakers put around each of the sets, and he’d press a button that he had on his phone, and you’d hear gunshots and grenade explosions — even after he had called “cut.” No one was laughing and bouncing around joking. We were tense. And you’d realise when you’d get home that your palms were clammy and you’d spent 12 hours in this kind of energy. A: It’s devastating, and the question that people ask is, why are you making a film like this? I thought long and hard about it, and I think we live in an age now where, because of social media and technology and how we receive news, things are so fleeting. A flick of a button or a swipe left or right, and you’re on to the next piece of news. In a way, we’ve become desensitised to this violence. A film like this can provide that much needed jolt to an audience to start having an actual discussion about what’s going on and what we can do to stop this. Q: Next up, you’re playing David Copperfield. Which one? A: Me being a college dropout here, I get a call from my agent: ‘Armando Iannucci wants to meet you about David Copperfield.’ I was like: ‘The magician, really? I guess I could go meet him and wear a black T-shirt and some trousers and, I don’t know, make an elephant disappear.’ It’s the world of Dickens, but Armando is razor sharp and very, very funny, and actually he somehow made it feel very relevant. Q: Between Copperfield and Sir Gawain, your career has veered into rather prodigious territory. How do you decide what to do next? A: Something that feels like a challenge. I know it sounds so cliche, but it’s the truth. With ‘Green Knight,’ I had read the script, and what was so alluring was I couldn’t quite quantify what it made me feel — but it made me feel , and I was slightly terrified of it. Then I got that amazing call after I’d met David that he wanted me for the lead. And after that initial excitement, you’re just drenched with fear of, now I have to actually do this. That’s kind of what happens with everything. It’s eagerness, curiosity and excitement, followed by fear and how the hell am I going to get through this? Q: You’ll be making your directorial debut soon, as if you need more pressure. A: I have a film called ‘Monkey Man’ that I’m going to direct this year, hopefully. It’s a very modern take on a very old Hindu mythology that my granddad told me stories of — and in particular one god called Hanuman who’s kind of half man, half monkey — set in a more modern-day India. It’s kind of like a graphic novel coming to life. And that’s really exciting as well. Q: And a huge undertaking. A: [Laughs] It’s a heart attack in the wings.